Full of plenty of wide open green spaces and beautiful natural areas, Canada has always been an attractive place to live – and some would say it's an especially attractive place to live right now, owing to recent political events. 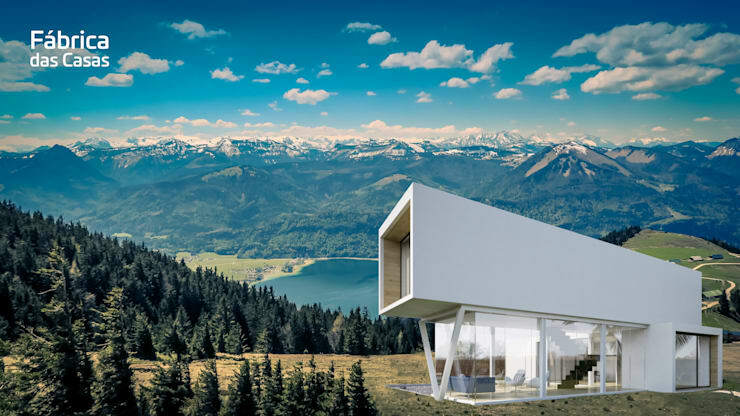 If you've decided to up and move to Canada on a whim, here are a few prefabricated modular homes that'll get you settled fast! 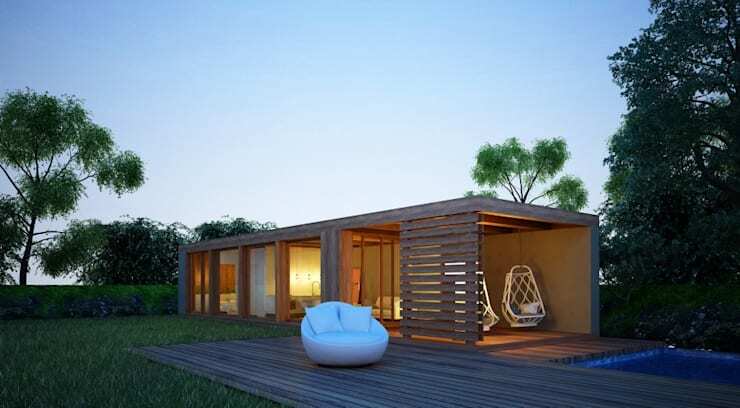 This simple, stunning modular home is brought to you by architects from Modulow (based in Spain). Sleek, fashionable and sensibly furnished, this residence wows with its versatile use of space and use of timeless hues – and the futuristic appeal of its exteriors lend this modern, mobile structure an additional stylish edge. This breathtaking design comes from Russian architects INT2. 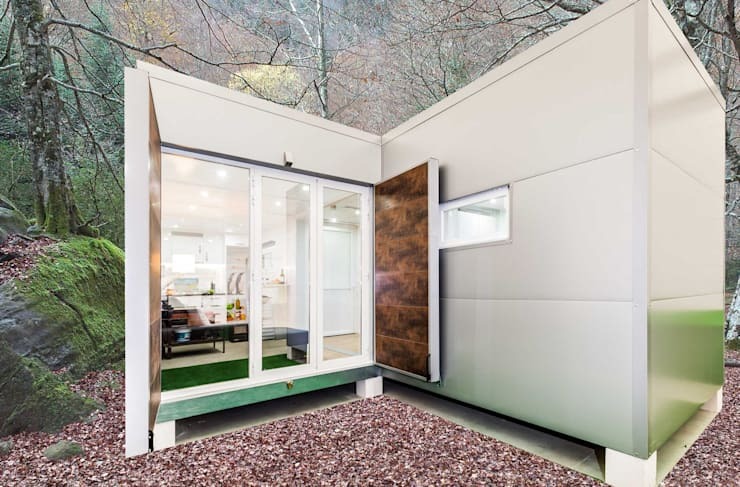 They've designed a simple modular home from which owners can customize the module layout as well as interior and exterior finishes. 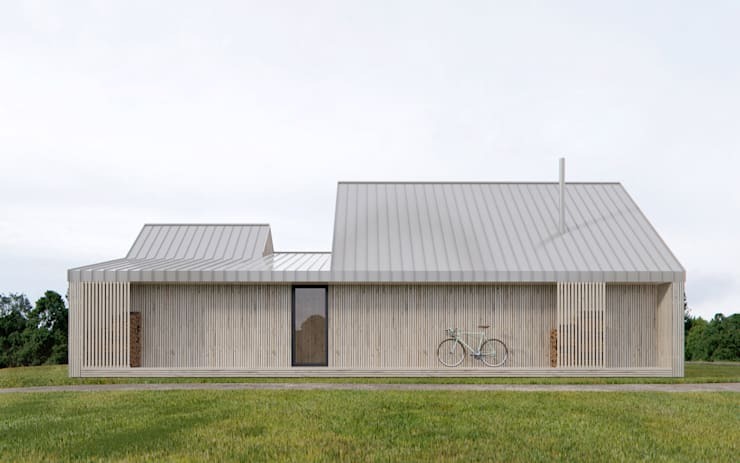 If you're considering a coastal location in Canada, the textured, lightweight appearance of this house will put it right at home along a sandy beach. No matter where you go, however, the subdued and homogenous exterior of this minimalist design is bound to blend right in! 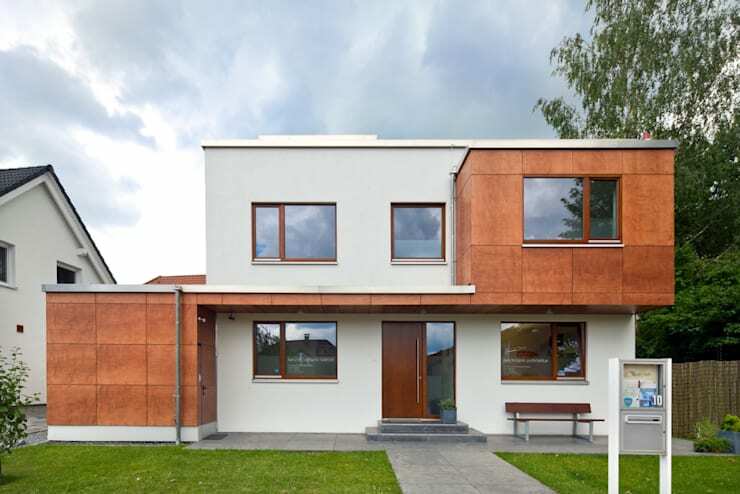 Here, this prefabricated home practically boasts of its origins – while many prefab houses attempt to hide every seam and crevice in order to appear as “built on site” as possible, this prefab house throws all caution to the wind, exhibiting a blocky home full of spaces that pop out and recede for a very modular look. The dark places, like the glassy, glazed windows, the dark red door, and the brown sections of the home, are displayed in a crisp, balanced arrangement that looks well-composed despite being asymmetrical. Get a full tour of this home in this ideabook. For those looking for a speedy home-building experience, a simple rectilinear design like this one will have your home ready for hanging up your pictures in no time. Imagine a quiet night on the porch under the clear moonlit sky, enjoying the warm and romantic tone of this simple wooden house. As the architects from Maqet prove, sometimes it's not about features and frills, but rather about comfort, simplicity, and peace. Fábrica das Casas, or House Factory (based in Vila Nova de Famalição, Portugal) prides themselves in their ability to place their modular homes just about anywhere, envisioning their designs against a backdrop of pristine mountains and evergreen forests in this stunning juxtaposition of modern architecture and a breathtaking panorama. If you're looking for an escape to the Canadian wilderness, this is the prefab home for you! 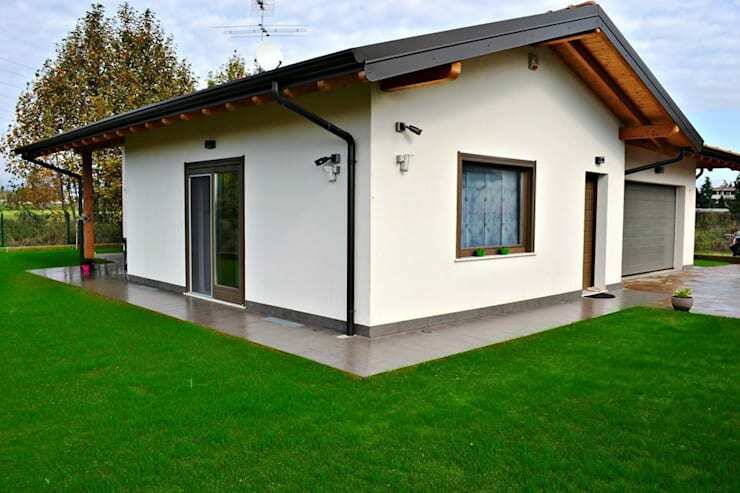 You don't have to stick with steel and concrete if you're going prefab - Marlengo (based in Bolgare, Italty) is one of many companies specializing in prefabricated wooden homes that bring all the warmth and natural appeal of a sturdy wooden home. 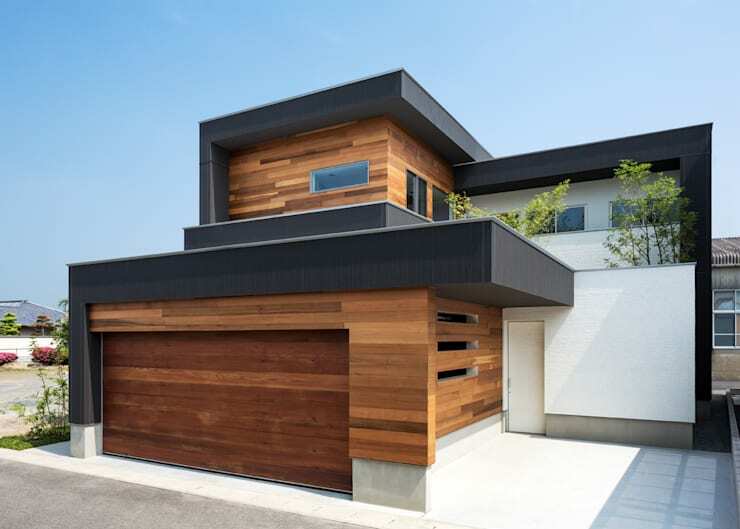 The term “prefab home” no longer translates into a small, modest dwelling with four evenly sized walls, and Architect Show co., Ltd understands this well! This home has both the size and dynamic building components that lend it a bold appearance like that of any other modern, sleek and sophisticated home – perfect for a suburban family home outside of Toronto. When your home can easily be designed in pieces and shipped to your building site, this can also translate into the ability to pack up and move again – taking your home with you! This brings a whole new meaning to mobile home; you don't need to live on wheels in order to consider yourself mobile, as there are many smaller prefab homes that can be partially disassembled or picked up as a whole and transplanted to a new location, like this simple prairie home. Thinking of getting a breath of fresh air by moving to Canada's vast prairies? 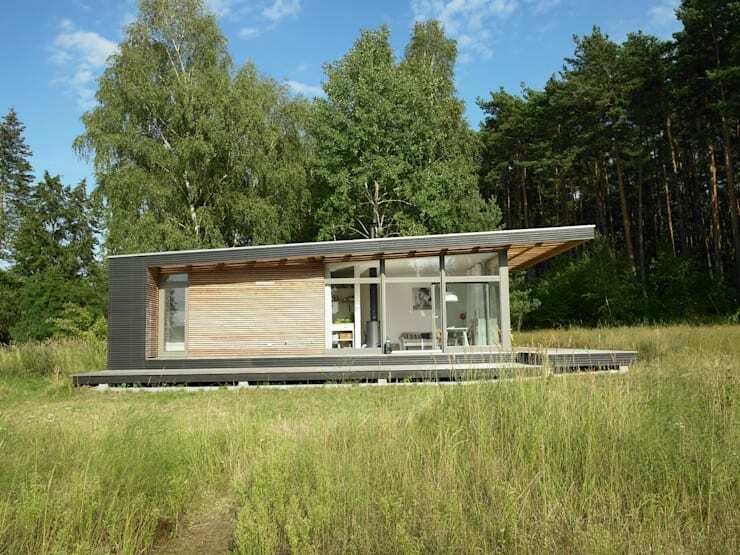 This prefab home is the one for you! What do you think of these prefab homes? Comment below!